Last old photo posted today. Hockenheim, Germany Formula 1 race track on an open day for bicyclists to ride the circuit. Taken in 1999 or 2000 or so. 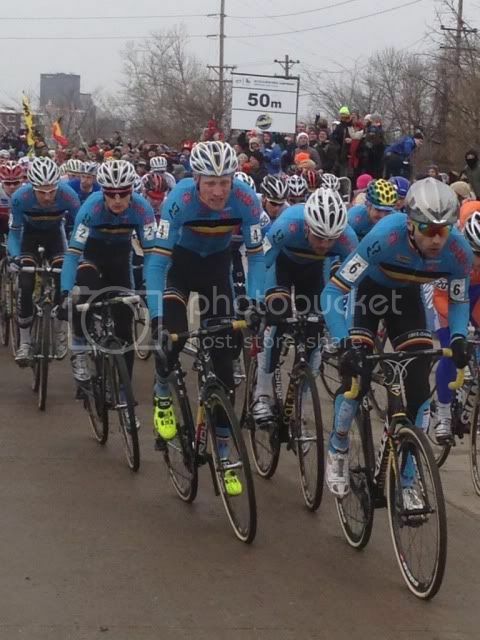 Hey, your third photo, the fifth bike from the left and nine back, I think that's mine! Here are a couple of others to add to the collection. We have found so many different great rides since moving to Florida. One of our new best rides is the Tammany Trace in LA across the lake from New Orleans. We go every April to bike the trace and eat some of the great local foods. So far we have always been on the "right side" of the draw bridge when it opens for the night. This is a picture of it. Possibly the only working draw bridge for bikes on a rail trail. It closes according to the lit sign on the bridge mostly around dusk. If you are on the wrong side it's a long way around. 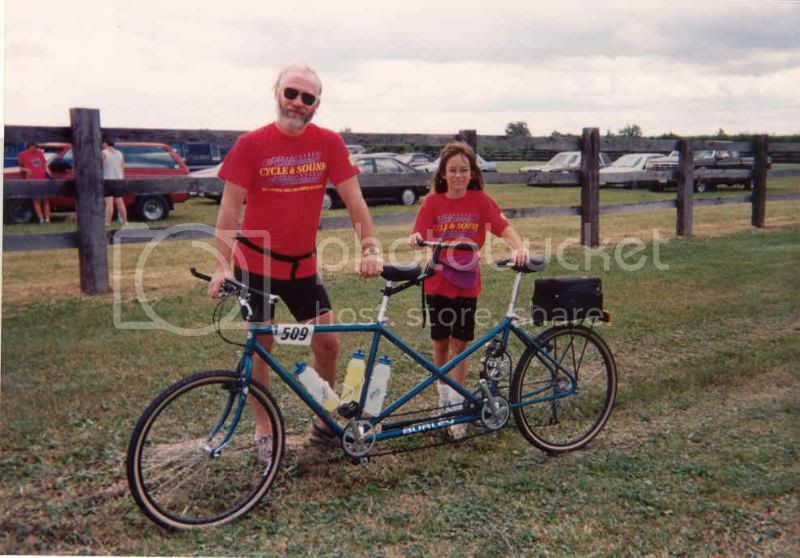 This one is of a trip to The Niagara River Recreation Trail in Ontario. It's a great ride right along side of the Niagrara River. In this pic you can see the trail about 2 miles from the falls. Right in the middle you can see the spray. As you approach the city of Niagara the sound is quite something. Riding close to the falls is a little hard what with all the people and the spray but doable. For this trip stay on the Canadian side much better riding IMHO. From about 6 weeks ago. Which Blue Man are you? I love pictures of the road and even more so when there are people on them, so I thought I'd start a thread for people to post up some pix. Those are all such nice photos of the mountain scenery. My photos of mountain cycling were taken in 1977 on a Kodak Instamatic, and I only have the Kodakchromes. There is a similar active and long-running thread on the Road Forum Empty road ahead photos. I live in downtown Boston and commute to the suburbs, so most of my riding is urban. For a change of pace, here is a favorite city view en route. It's on the Avenue Louis Pasteur looking towards the Quadrangle of the Havard Medical School taken around 6:00 AM. I'm impressed by the way the yellow line in the road bisects the columns on the building. Not seen on the left of the picture is the Boston Latin School, America's first public school and oldest existing school, founded in 1635, (though not the original building). Such are the hidden treasures to be seen on the proposed Fifth Annual Fifty-Plus Ride in Boston the weekend of July 27-28. Last edited by Jim from Boston; 03-08-13 at 05:07 PM. A few months ago I took my bent on that very course. It wasn't a very good idea, so naturally I want to try it again when it warms up. I wish I knew why we do these things. The bicycle in the foreground in the photo on the bottom left is the same one I am sitting on at Hockenheim. A few posts were deleted. Please keep in mind that people come in all shapes and sizes, and derogatory comments are against the forum guidelines. 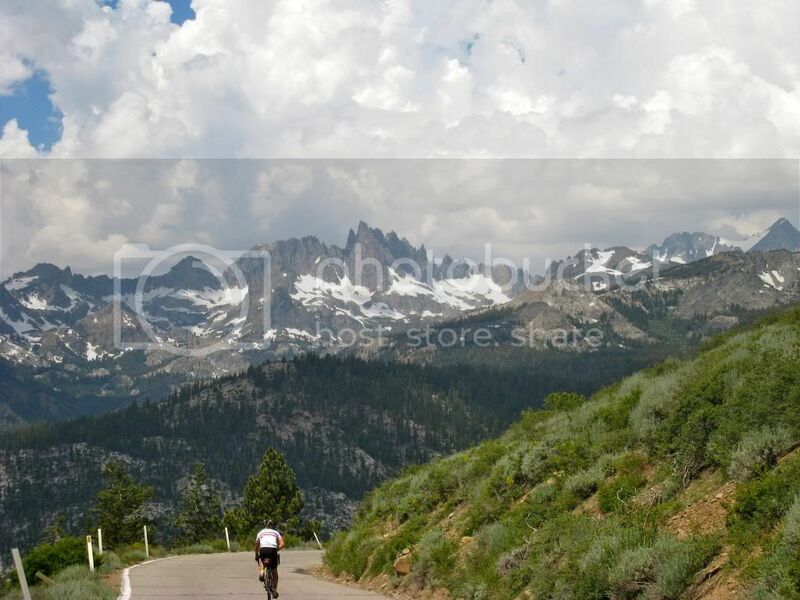 Descending down to Red's Meadow in the Eastern Sierra ... those are the Minarets. Iowa sure doesn't look like that. Oh my. Backup that pic, and then back it up again. A pic like that can be treasured for generations. I wish I had something like that. 1994 seem's like just yesterday. 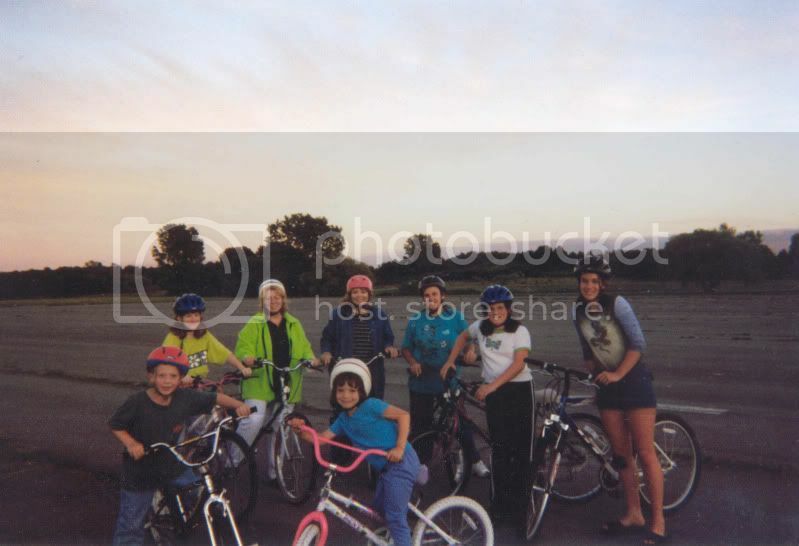 One final oldie - - - Here's part of a 14 person ride from the camping area in Hamlin Beach State Park to the Bluffs to watch the sunset. My wife and three daughters as well as the neighbor and her daughter plus cousins etc. gathered to wait for some slower riders to catch up. 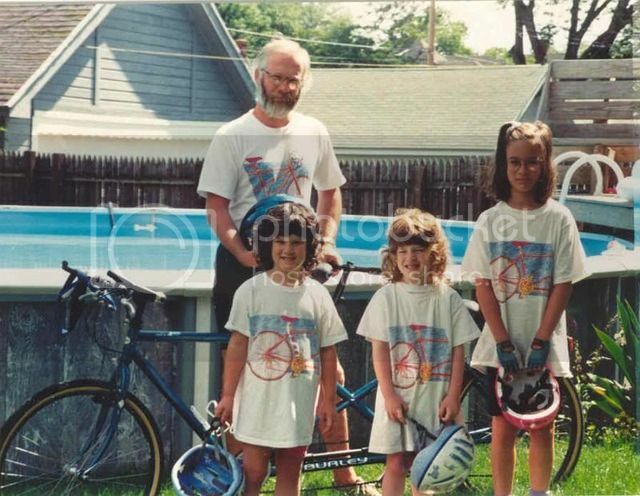 We were quite a gang that evening.... That little neighbor girl in front is currently a Junior in College. Hockenhiem, good God I want to do that on my Langster soooooo bad!!!!!!!!!!!!!!!! PS: love the pics guys! PPS: Cranky, that pic of the oldest is just so darn cute! She looks adorable, You can tell she is having a blast. Good on you. I bet that Ole' Burley is worth it's weight in gold with the memory's it created. You are truly a blessed man my friend! Last edited by I-Like-To-Bike; 03-09-13 at 12:03 PM. I must admit though that seeing what they did to that XKE brought a tear to my eye. 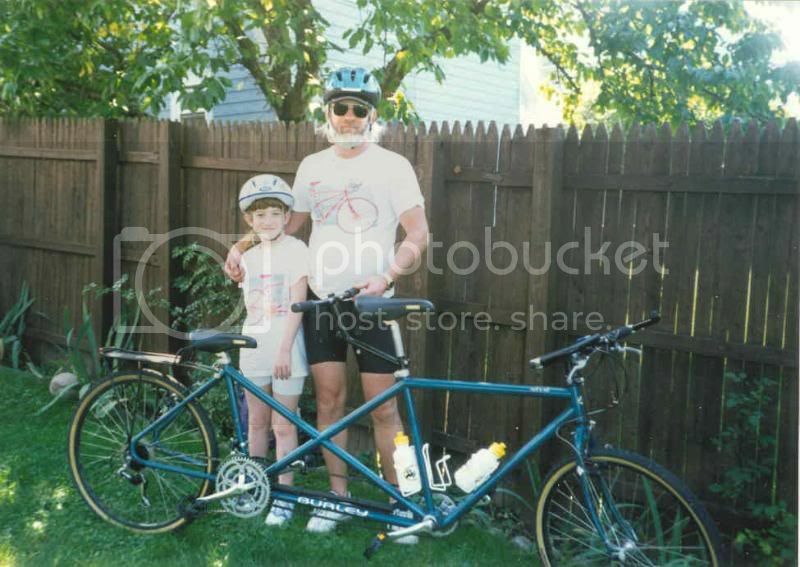 Another oldly but moldy, LOL, here's a photo of my Son, Steven (who will be 39 at the end of the month) and I packing up from our first NORBA Novice MTB race in 1985. I rode a Raliegh Mt. Crested Butte hardtail/ridged and he rode a 20in. Ross 5 speed hardtail/ridged. We had a BLAST that day, he's pointing to the NORBA sticker on the bumper! 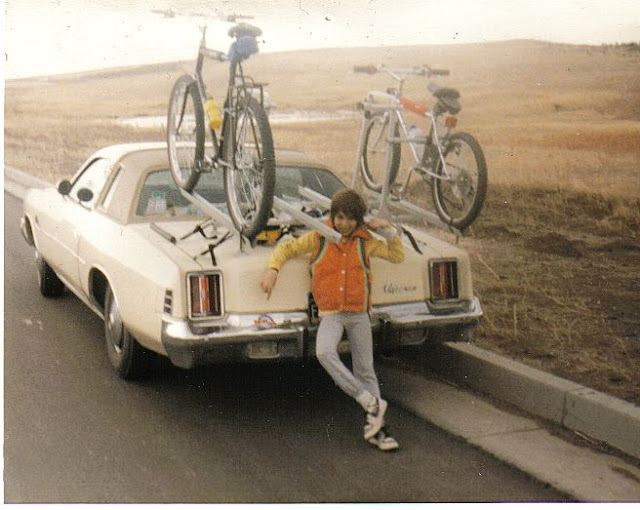 That brings back a lot of memories, used to have a bike rack like that, hauled a lot of bikes with it. I think there was a bed inside, possibly a water bed. A real love mobile. Almost as good as the car a buddy of mine had in high school, a 1937 Packard Hearse equipped with a mattress in the back. Cranky, very nice pics of the family, they are great looking kids y'all have there.